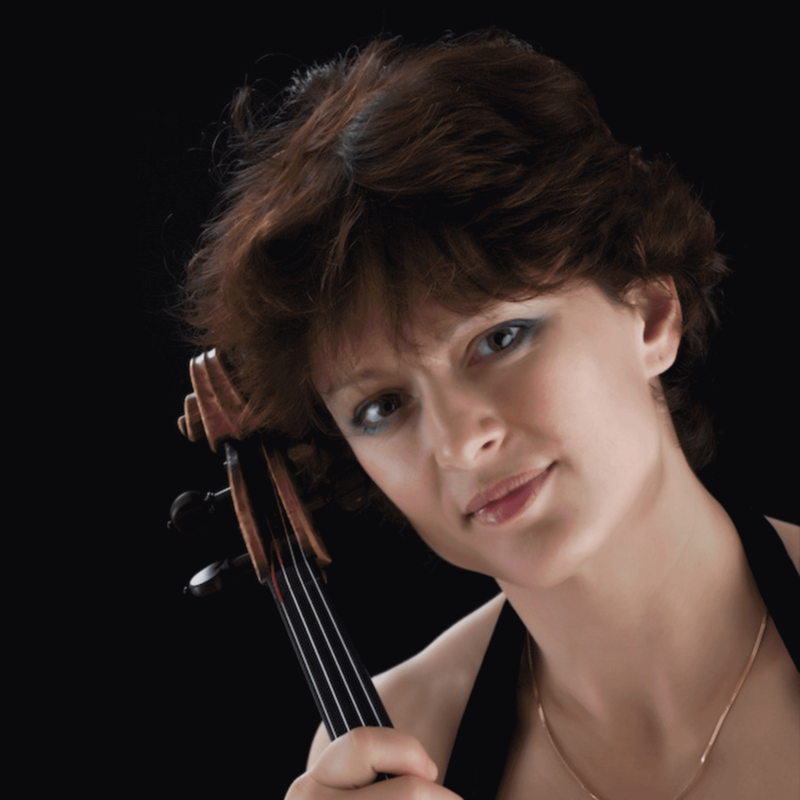 Silvia Simionescu, international well-known violist enjoys a diverse career as a performing musician that has taken her all over the world. Her appearances in major venues such as Auditorium Barcelona, Philarmonia Saint Petersbourg , KKL Luzern , Teatro Colon Buenos Aires, Zurich Tonhalle, Casals Hall in Tokyo, Beethoven Halle Bonn, Wigmore Hall, Mozarteum Salzburg have been praised for her exceptionally passionate, intense and intelligent musicianship. Born in Romania, Silvia Simionescu took up playing the violin at the age of seven. She joined the International Menuhin Music Academy in Switzerland where she studied violin and viola with Yehudi Menuhin, Alberto Lysy and Johannes Eskaer. Prizewinner in several international competitions, among others 1st Prize in the Brescia International Competition and 1st Prize of the Osaka International Chamber Music Competition (as a member of Trio Ligeti) she has performed as soloist in Romania , Japan and Italy. Over the years she was invited to perform in important chamber music Festivals like: „Mont Fuji Festival“, „Folles Journées de Nantes“, Kuhmo Festival, Sangat Festival (Bombay), Menuhin Festival (Switzerland) , West Cork Festival (Ireland). As a passionate and devoted chamber musician she has the great opportunity to enrich her artistic experience playing with great artists such as Joshua Bell, Carolin Widmann, Ana Chumacenco, Alberto Lysy, Bruno Giurana , Leon Fleischer, Alexander Lonquich, Jurg Widmann, Cristian Poltera. Since 2009, she is a member of Gringolts String Quartet and highly enjoys the most amazing masterpieces of the string quartet repertory.